While all this heraldry stuff was being studied, my Jones family tree from the old Kentucky home, to the mouth of Red River [Madison/Clark/Estill counties joined along the Kentucky River] was also being accomplished. It became evident that Virginia was the origin for my group of Jones, and there were a fair number of brick walls to be overcome. It became apparent that Caroline Co. (VA) and Spotsylvania Co. (VA) [which had their roots in Essex Co., which had its roots in Old Rappahannock Co. (VA)] were the areas that grew most of my tree branches. 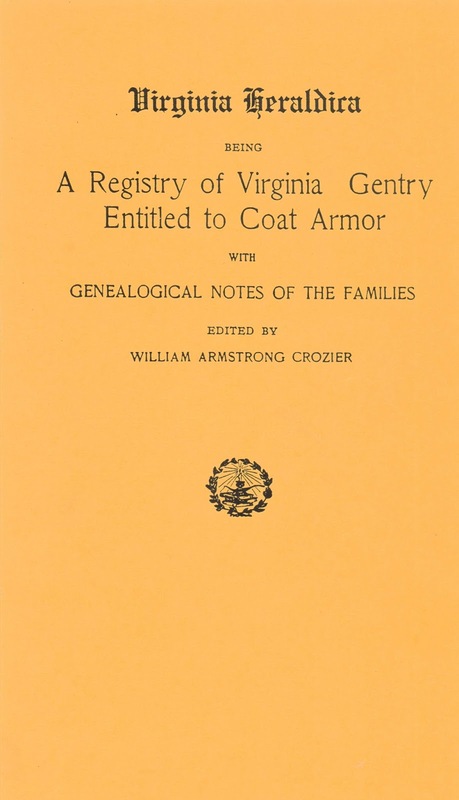 As time went along, the following book was found titled, you guest it... "Virginia Heraldica". Originally published in 1908, it was reprinted by Southern Book Co. in 1953, reprinted again by Genealogical Publishing Co., 1965, and finally reprinted by Clearfield Company, Inc., 2000. Since 1908 some folks were interested in this topic in Virginia. Maybe there was more to this heraldry stuff yet to be discovered. The story continues.